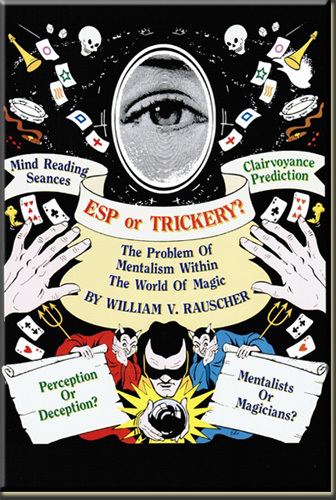 This 47 page book in 6 chapters presents an overview of various mind readers and the current wave of private readers who call themselves psychic entertainers. Chapters include: Mentalism: Yesterday And Today, Let The Show Begin, What's Wrong With 'Private Readings? ', That's Show Business!, Magician Or Mentalist?, Psychic Or Psychotic, and Footnotes. Color Cover - 6 Chapters - 47 pages. Chapters: 1. Mentalism-Yesterday and Today. 2. Let The Show Begin. 3 What's Wrong With 'Private Readings"? 4. That's Show Business. 5 Magician or Mentalist? 6. Psychic or Psychotic? Footnotes.